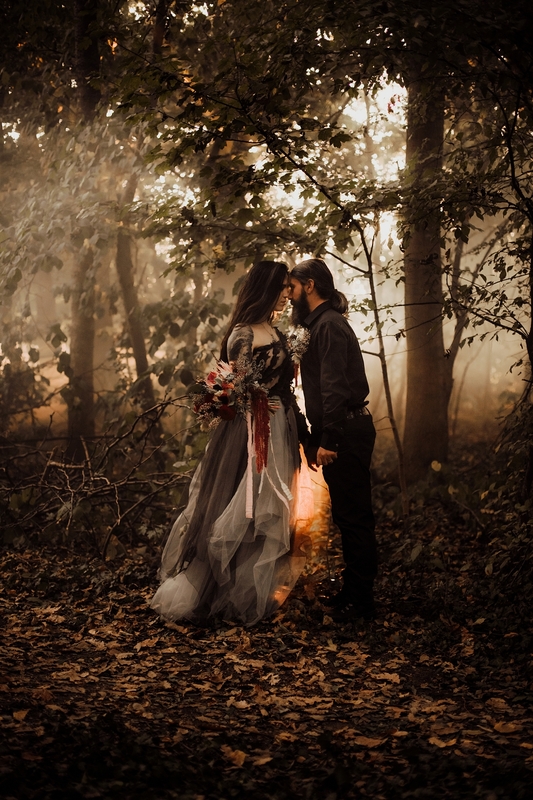 This dreamy goth elopement was a perfect ending to this year’s weddings. It’s not every day that you get to meet a couple like Larisa and Mihai and we believe that the team we worked with managed to enhance their uniqueness. 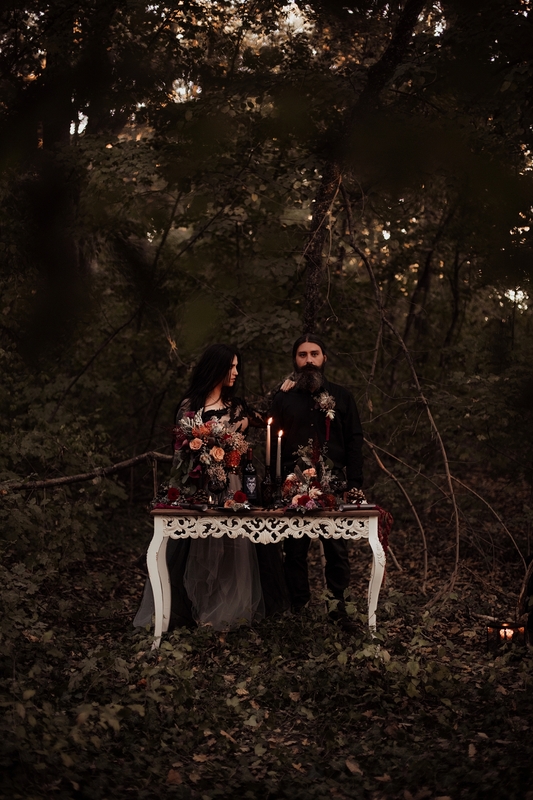 We had a vision of a goth elopement styled shoot but we wanted to steer clear of the cliche. 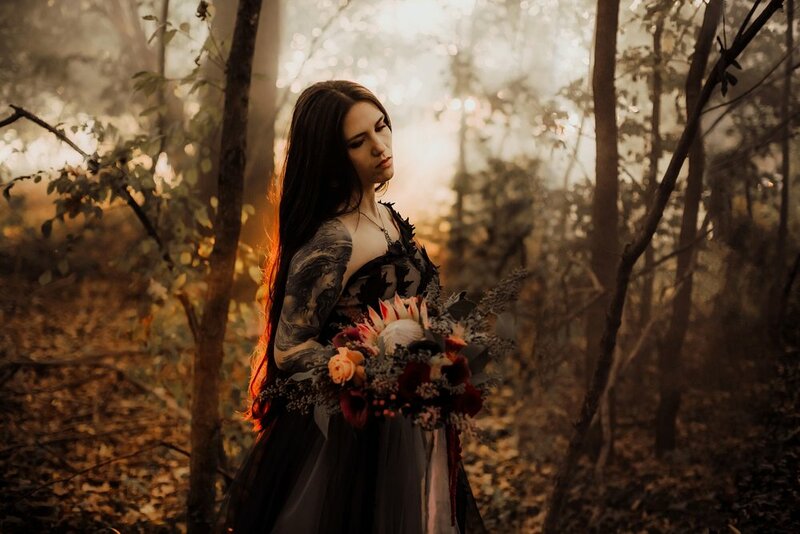 SInce our style in photography blends both “dark and moody” with “ethereal and romantic” we wanted a dreamy goth feel that holds just the right amount of mystery without being overbearing. 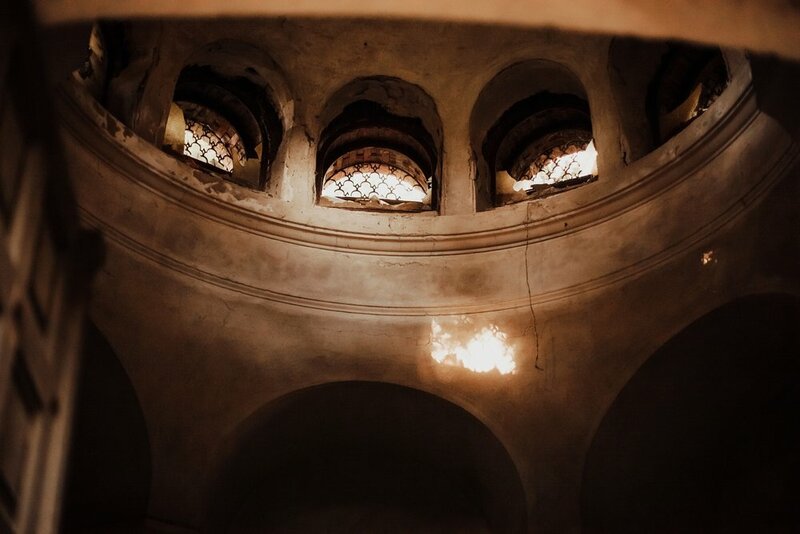 We found an old, deserted chapel in the woods that held the promise of the perfect ceremony backdrop to our vision. 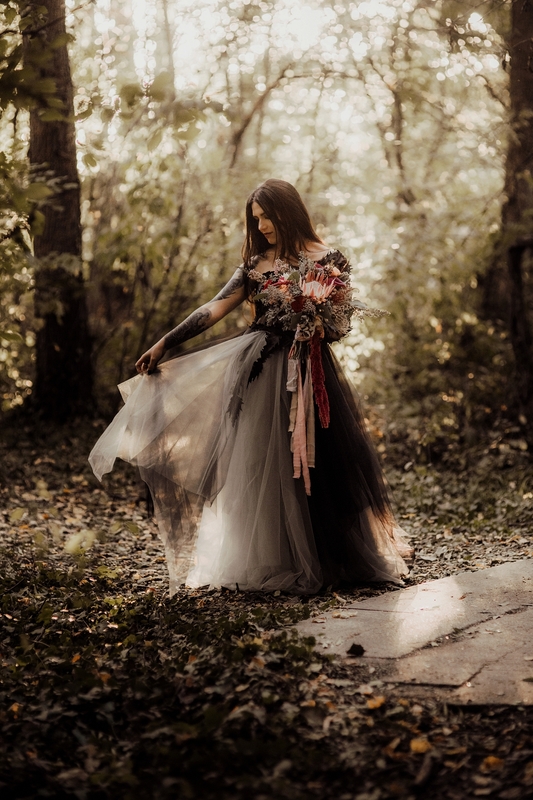 Diana created gorgeous flower arrangements in the autumn colors to break the dark tones and incorporate everything in the nature for an organic feel. Andreea’s (Artelier Sucre) magic hands put together the perfect layered cake for this occasion: shades of grey and black with metallic copper edges seamlessly blended with Diana’s cake flower arrangements to bring out some autumn richness. 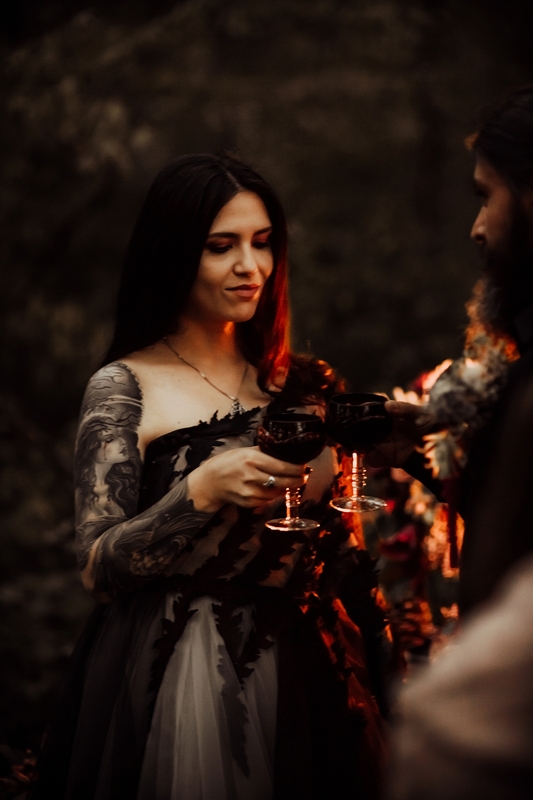 The bride wore a gorgeous flowy dress of gray and black tulle designed by Chotronette with black embroidered details - which was the perfect fit for a dreamy goth wedding. The one shoulder dress was perfect for showing off the beautiful tattoos of our bride. Lots of candles, colored smoke and a perfect sunset completed the feel of the day.